Over 24,000 campsites across Europe. 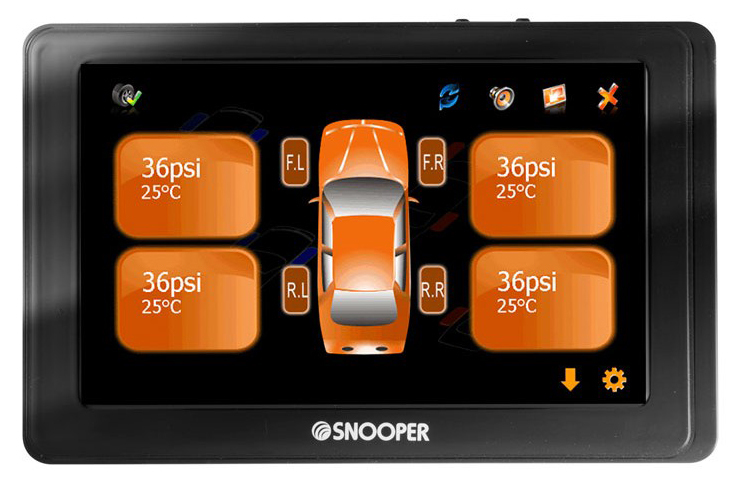 Snooper Ventura Pro SC5800 DVR - 5" widescreen LCD touchscreen with built-in DVR and Tyre Pilot compatibility. 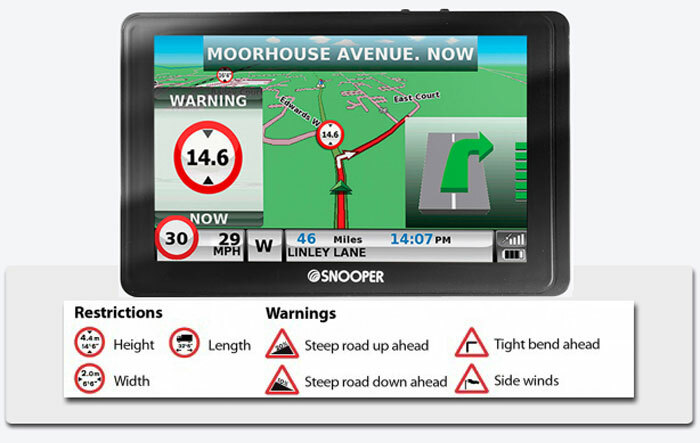 The best sat nav designed specifically for caravan and motorhome use just got even better. 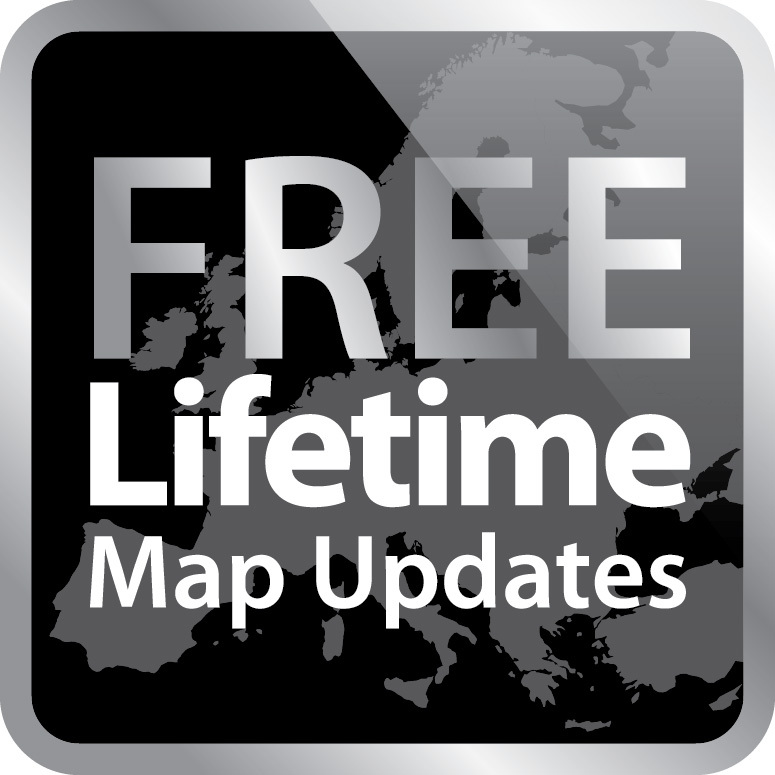 Includes Junction View, Lane Guidance and information on 24,000 campsites and motorhome stopovers in 31 countries, the largest database of any caravan specific sat nav. 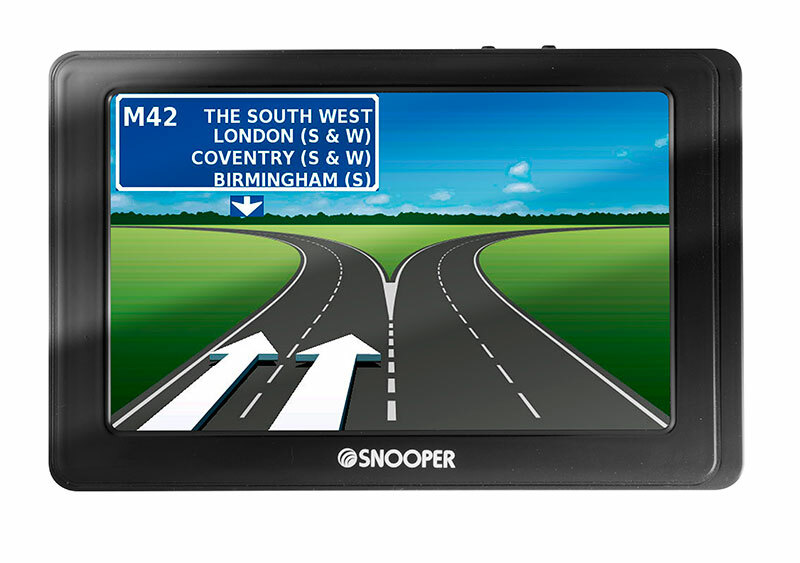 Ventura is the first portable sat nav system to include dedicated routing designed specifically for caravans and motorhomes - plus Snooper's multi award winning speed camera location technology. Ventura was first launched in 2009 and has been a huge success, welcomed by caravan and motorhome enthusiasts across Europe. Simply enter the height, width and weight of your vehicle and Ventura will automatically calculate a route avoiding low bridges, unsuitable roads and many other hazards. 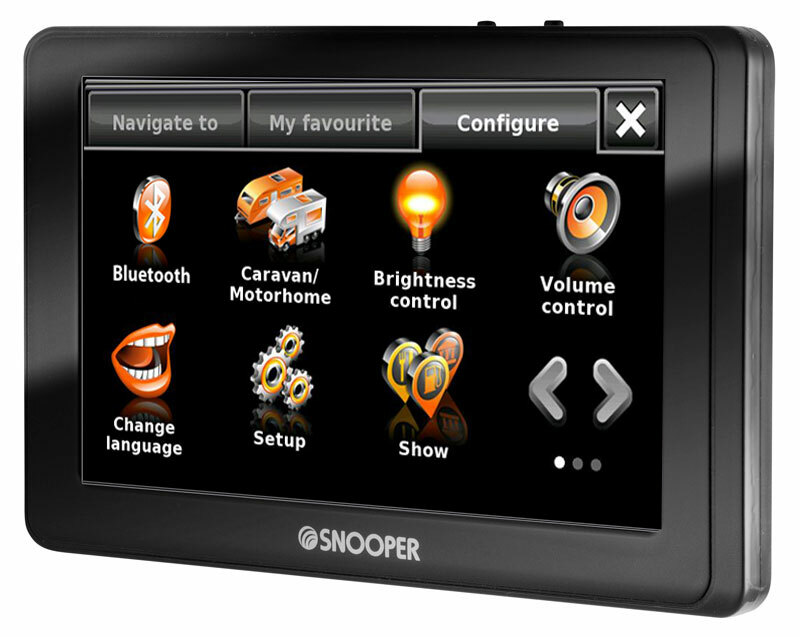 Snooper Ventura Pro SC5800 DVR sat nav system is the result of many months of development based on our research of the industry and feedback from 1000's of caravan and motorhome users. As a result Ventura is the most comprehensive portable sat nav system designed specifically for caravans and motorhomes on the market. Ventura uses Here® Maps for Life transport data at it's core, but Ventura is further enhanced by 1000's more attributes combining to give far more comprehensive cover of hazards on more roads than any other system on the market. Snooper Ventura Pro SC5800 DVR - What's new? 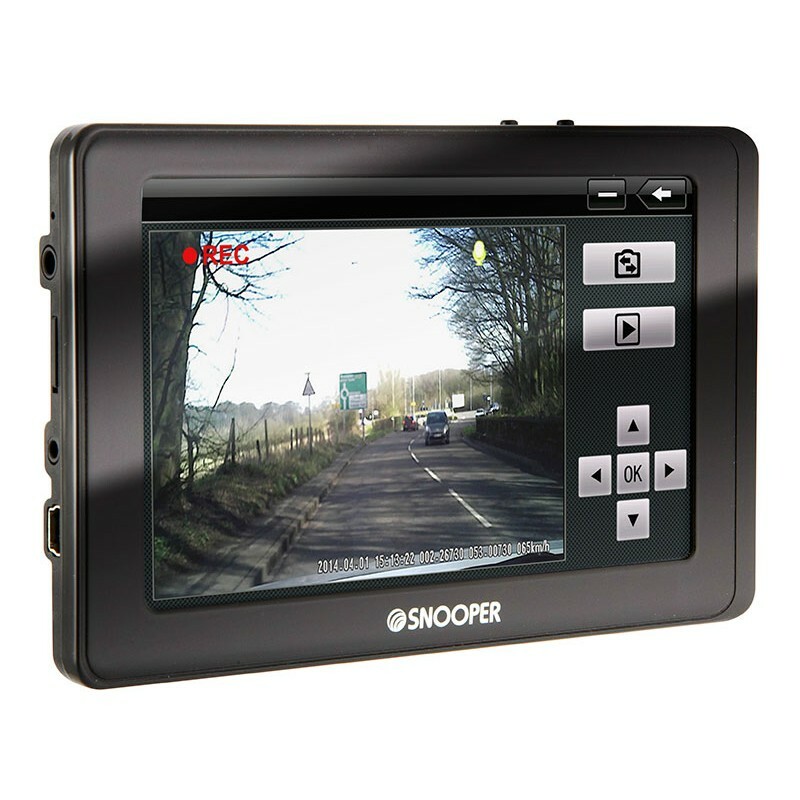 Using our expertise and knowledge of Sat Navs, DVRs and Dash Cams, Snooper has created SC5800 DVR, a unique combination of our award winning navigation and dash camera technology. Our latest unit automatically records and saves any vehicle incidents you may encounter negotiating Europe's vast road network. The ultimate co-pilot that never sleeps. Larger vehicles including Motorhomes, Caravans, Trucks, Buses and Coaches are now increasingly targeted by fraudsters costing insurers and drivers over half a billion pounds a year. A spokesman for the insurance industry said, “crash for cash is becoming a booming business, all the fraudsters need is a car and a little know how and they’re ready to go. We certainly recommend that motorists take steps to mitigate any fraud by using a DVR Device”. 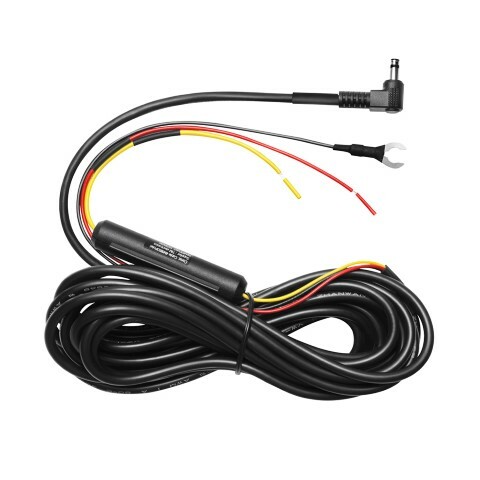 Ventura SC5800 DVR automatically records the view in front of your vehicle and any sounds from inside the vehicle with its built-in microphone. The video files can then be downloaded to your PC via Snooper Player, providing video evidence of journey and any incidents that may have occurred. Incorporating the most advanced GPS technology, Ventura SC5800 DVR can pinpoint your position across Europe and downloadable using Snooper Player, recording where your incident has occurred including time, date and vehicle's speed, it's like having your very own 'black box‘. *Visit https://bit.ly/1p1o3cx for further details. Ventura SC5800 DVR includes a bright, crystal clear, easy read 5" touch screen display for clearer viewing. Ventura SC5800DVR includes a modern and clear menu display, making it easier to use. Brighter, stylish and sleek. For safer and lower cost motoring, Ventura SC5800 DVR is compatible with Tyre Pilot, a tyre pressure monitoring system. Display the pressure and temperature of your vehicle’s tyres on screen with the added benefit of audible alerts to pressure drops and abnormal temperature increases. Tyre defects contribute to over 3% of all vehicle accidents and are the main fault attributed to a vehicle incident. Monitoring your vehicle’s tyres whilst driving and ensuring they are correctly inflated could save you up to 10% in fuel charges, extending tyre life by 35% and reduces the chances of an accident or blow-out. Low Emission Zones (LEZs) are areas or roads where the most polluting vehicles are restricted from entering. This means that vehicles are banned, or in some cases charged, if they enter the LEZ when their emissions are over a set level. Ventura SC5800 DVR will route around these areas if your vehicle is in-breach of the polluting levels, reducing the possibility of any charges or fines being issued. Ventura includes campsite and motorhome stopover information supplied by Alan Rogers Travel, ACSI, BordAtlas and Camperstop! Snooper Ventura now also comes with complete lists of Caravan Club campsites, Caravan Club Approved campsites plus The Camping & Caravanning Club campsites - all preloaded so that you can search and navigate straight to them at the touch of a button! The speed limit of nearly every road across Europe can now be clearly displayed on the Ventura SC5800 DVR at all times. Choose between speed limits for cars and advisory speed limits for caravans and motorhomes. In addition, My Speed can also be set to alert you if you accidentally exceed the speed limit at any time. Recognised as the industry leader in digital street level mapping Ventura uses Here® Maps for Life data. Ensuring you are taken seamlessly from A to B on the best possible route. Ventura comes with extended street level mapping of Europe as standard. Making a multi-stop journey can cause drivers huge headaches; Which is the best route? Where should we stop first? Ventura Pro SC5800 DVR will take away that headache and plan your multi-stop route accommodating up to 16 destinations at the press of a button. Using the multi-route icon, simply search and select the destinations you require either by postcode, city, POI or even favourites and SC5800 DVR will plot a route through each stop off. Want the best route available? Press the rearrange button on your SC5800 DVR and it will place the destinations into the most logical order, giving you the simplest and most cost effective route for your journey. Traffic information is fed from 100's of thousands of vehicles and sensors across Europe providing up to the second traffic information. If there is congestion on your route, simply ask Ventura to find a route around it. Over 2 million POI's across Europe including Alan Rogers, ACSI, BordAtlas, Camperstop, Caravan Club and Caravan Club recommended sites plus The Camping & Caravanning Club sites preloaded as standard! Sync your Bluetooth enabled phone to your Ventura Satellite Navigation device for hands free calling. Now you can keep your phone in your pocket, handbag or glove compartment and still receive calls whilst driving, keeping both hands on the steering wheel. To ensure the most accurate postcode search available Ventura uses Here® Maps for Life 7 digit postcode search, the most comprehensive of its kind. Ventura SC5800DVR has a video input socket, which allows the device to be linked up with a Snooper reversing camera for easier manoeuvring. Ventura is completely unique. Unlike any other sat nav system Ventura can provide you with speed limit alerts specific to the class of vehicle you are driving. Plus you can update the speed camera database 24hrs a day 365 days a year. Ventura uses our unique AURA™ database which is updated daily, so the second a new camera is added you can download it, because anything less than 100% cover is just not an option. Ventura gets you effortlessly from A to B whilst ensuring that you get there with your license intact. As well as the UK and Ireland, the AURA™ speed trap database now offers Worldwide protection. 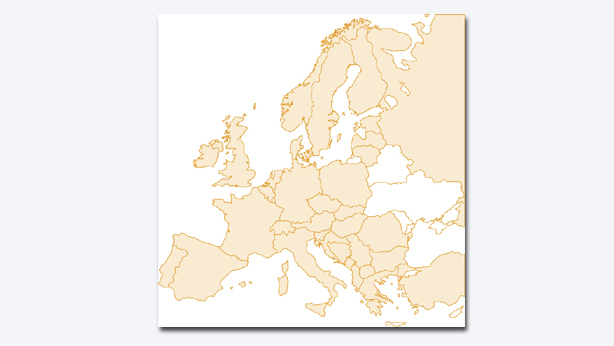 Included in our system are locations in Germany, Holland, Belgium, France, Spain, Portugal, Switzerland, Italy, Austria, Luxembourg, Denmark, Norway, Sweden, Finland, Poland, Romania, Russia, North America, Canada and South Africa and is still growing. 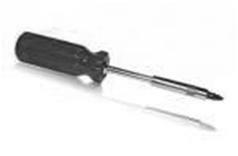 If you are unsure about the suitability of this product please contact us via the ask a questions link at the top of this page or telephone us and we will gladly assist you. Bentley Continental GT, Flying Spur iPod / iPhone / USB Music Adaptor A complete integration ki..
BlackVue DR430-2CH Dashcam The Blackvue DR430-2CH is a simple but powerful Full HD front f..